Built in one go in the 17th century, Gothenburg was planned as a trading post when the Swedish Empire was at the peak of its powers. As the largest port in Sweden it became a centre for industries like shipbuilding, and despite its obvious affluence still has an down-to-earth, working character. 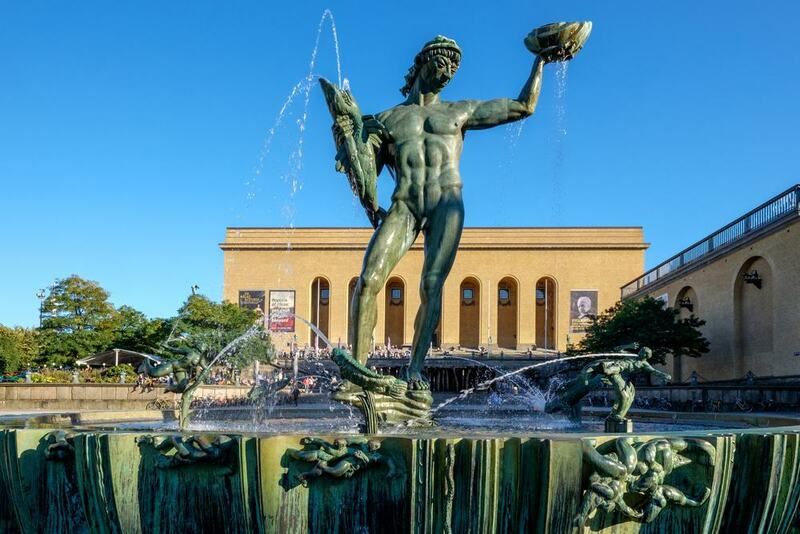 As a planned city, there’s a neat order to Gothenburg’s streets, and 300 years after it was founded a new wave of construction in the 1920s gave the cultural meccas like the Museum of Art. In a maritime town like Gothenburg you should also try to spend as much time as possible on the water, island hopping on the archipelagos off the coast or floating down the 17th-century canals. 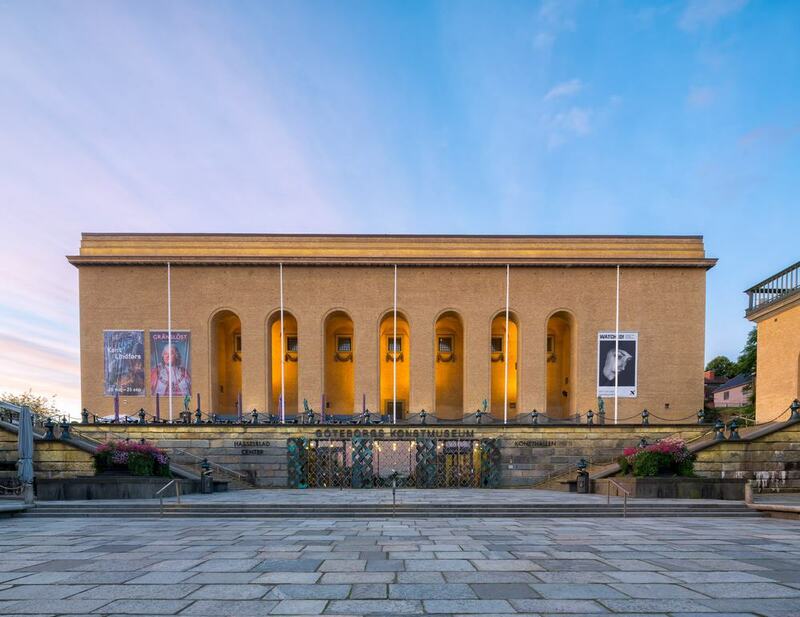 The prestigious museum opened in 1923, in time for Gothenburg’s International Exhibition. You can come to appreciate works from across Europe painted from the 1400s to the 21st century. But the museum’s acclaim comes from its 19th-century Nordic art, by famous and familiar names like Edvard Munch, Peder Severin Krøyer, Bruno Liljefors and Anders Zorn. The French collection deserves your time for its works by Gauguin, Picasso, Monet, Chagall and van Gogh. And for lovers of the Renaissance and Baroque there are pieces by van Dyck, Rembrandt, Rubens and Jacob Jordaens. 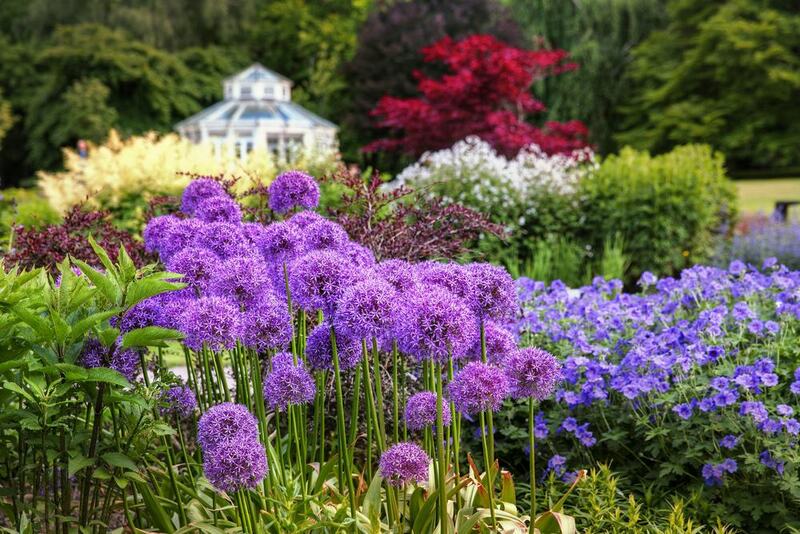 Gothenburg’s sprawling Botanical Garden covers 175 hectares in the centre of the city, and also encompasses a nature reserve and arboretum. Around 4,000 of its plants are kept in greenhouses, so the attraction is full of life in any season. Inside is the largest collection of orchids in the country, numbering 1,500 in total. Also under cover is an Easter Island tree, sophora toromiro, which will fascinate botanists as it’s extinct in its natural habitat. The arboretum meanwhile has trees from all over the world, neatly ordered and labelled, and in summer the rock garden is a treat for its waterfall and more than 6,000 plant species. This thriving amusement park goes back to 1923 and draws big crowds today. Liseberg has a traditional character and abounds with greenery and woodland, but its lineup of high-tech rides is constantly evolving. The steel roller coaster Helix was unveiled in 2014 and the state -of-the-art Valkyria is in the pipeline for 2018. But if there’s one roller coaster that you cannot leave without riding it’s the bone shuddering Balder, a wood-tracked coaster that ranks among the best rides of its kind every year. All ages are accommodated at Liseberg, so those adrenaline rides are combined with thoughtfully designed kids’ amusements like merry go rounds, flying elephants and dragon boats. Liseberg also stages big concerts (free with entry), and is unusual in Sweden as it opens in winter for Halloween and Christmas, when there’s a special market. You’d never know it today, but this cute neighbourhood southwest of the city centre used to be a slum with a seedy reputation. Haga is a grid of cobblestone streets flanked by brick warehouses and uniform 19th-century houses with wooden facades. These charming buildings were scheduled to be torn down during redevelopment works in the 1970s, but Gothenburg’s citizens got together to preserve its character. Haga is now the city’s hippest neighbourhood, and has no shortage of cafes, delicatessens, independent shops and reasonably priced restaurants. If you want to be really Swedish about it, Haga’s just the spot for fika, a quick coffee and a bun. Close to Gothenburg you can embark on a journey through the little granite islands of the Southern and Northern Gothenburg archipelago. The Southern islands, below the mouth of the Göta älv are designated car-free. You’ll catch a ferry from Saltholmen and can use that ticket to jump from island to island, calling in on painted fishing villages and old shipping settlements, and taking kayak trips on glassy water and hikes in nature reserves. The northern Archipelago is more inhabited and connects to Gothenburg via a car ferry. On this side, Hönö is a destination for fishing and watersports, and has a fish museum, a generous helping of restaurants and rugged cliffs along its coasts. 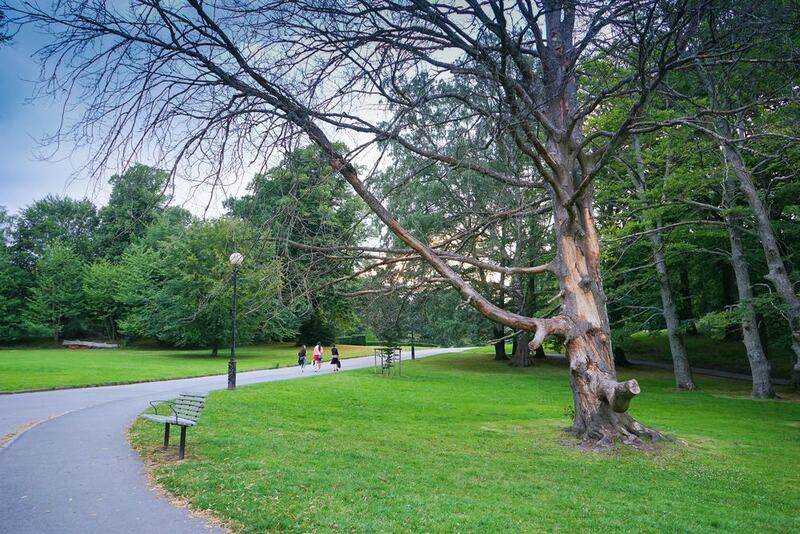 Southwest of Haga is Gothenburg’s main park, in 137 hectares of restful greenery. The east side is a planned English garden with flowing lawns and paths that weave between old growth trees. The rest has been left to nature, and is taken up by linden, oak and beech woodland. If you need to squeeze in a morning run, this is the place to go, and there are also adventure playgrounds, an observatory, miniature golf and other sports facilities. The free zoo at the centre of the park dates to 1876 and has Nordic animals like moose, Gotland ponies, deer, and domestic animals like goats, pigs and sheep. There are also water enclosures, home to seals and Humboldt penguins. 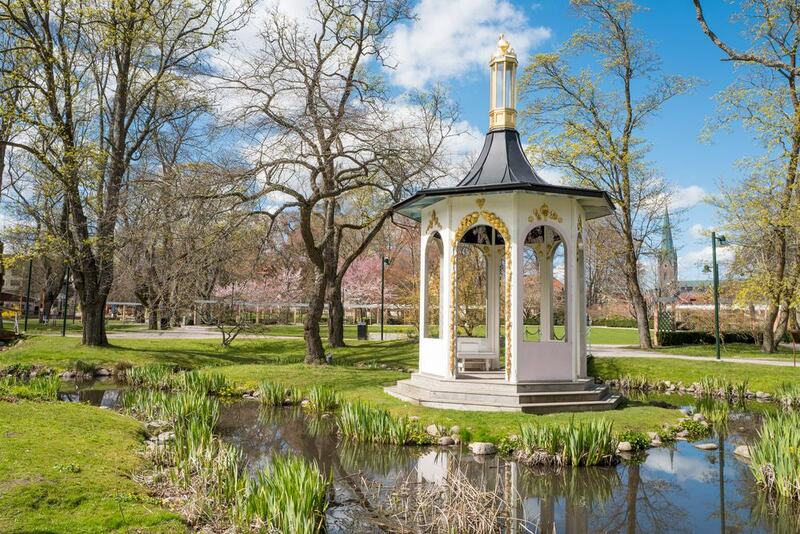 Gothenburg’s most central park may well be its prettiest, as the Garden Society of Gothenburg has hardly changed since the 19th century. It was inaugurated in 1842 by King Carl XIV Johan and thanks to its meticulous preservation has been given listed status in Sweden. There are historic buildings in the park, like the cute coffee house that dates to 1874. But the postcard image is the magnificent palm house, Palmhuset, erected in 1878, based on London’s Crystal Palace and containing tropical species. In June and July the rose garden’s 6,000 bushes are in bloom for a spectacle of colour and fragrance that will stay with you. 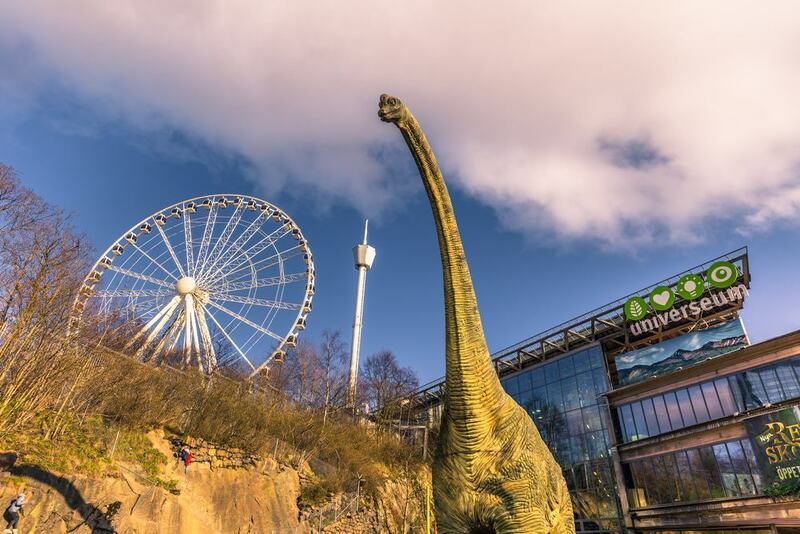 Close to Liseberg is an attraction that approaches scientific topics in engaging, child-friendly ways and has a host of animal exhibits over seven floors. The centrepiece is the Ocean Zone, which has an immense ocean tank inhabited by sharks and tropical species, and a touch tank where little ones can find out what rays’ backs feel like. You can also enter an indoor tropical rainforest, spotting colourful birds, sloths and monkeys on the branches above. On a very different tack is the “Kalejdo” exhibition, where kids can explore criminal science, the cosmos and find out how lasers work, and “Explora” a sort of experiment zone using cutting-edge technology. Beginning at Kungsportsbron, the bridge over the canal, and slicing diagonally through the city is Gothenburg’s broad and princely avenue. It was laid out in the 1800s to link a new upmarket neighbourhood southeast of the centre with the old fortified city. For shopping, nightlife and dining Avenyn is the cream of the crop: In the daylight hours you can potter around the chain stores, high-end fashion houses and one-of-a-king boutiques, and after dark you can paint the town red at all manner of eateries and nightspots. 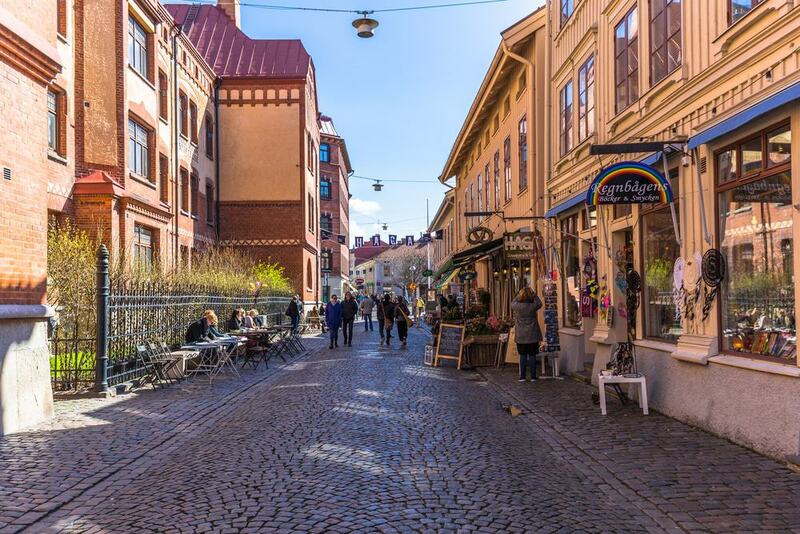 Bring a sense of adventure too, as the connecting streets like Södra vägen merit a detour, while to the west rise the Neoclassical mansions of the posh Vasa neighbourhood. 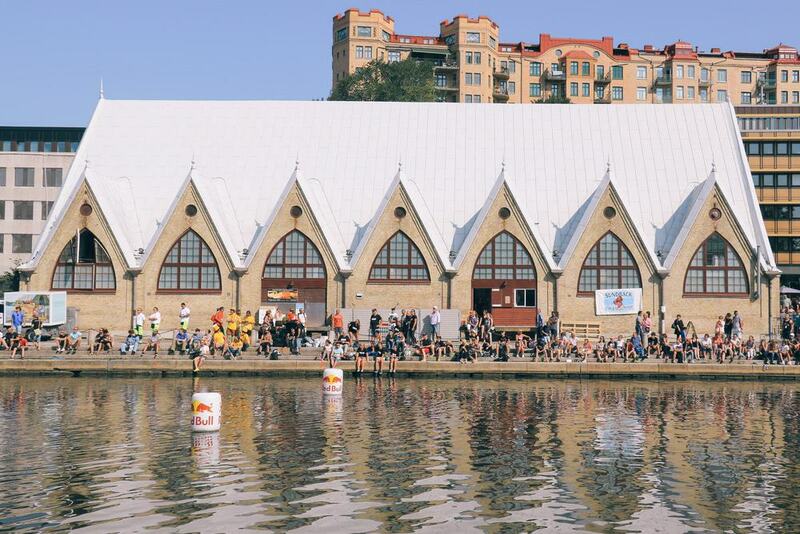 On a canal-side in central Gothenburg is the city’s fish and shellfish market. You’ll be forgiven for mistaking this building for a church, as its design was inspired by Norwegian Stave Churches and medieval Gothic architecture (hence the name “fish church”). The market opened in 1874 and was a technical marvel at the time as there are no pillars inside, with a roof supported instead by powerful beams. This should be your first stop for ocean-fresh fish and shellfish caught on the day. There are also two highly-rated restaurants at the market, a few options for takeout, and even a stall that will shuck your oysters for you and pair them with wine. In the military section of Gothenburg’s airport is a facility from the Cold War era. Built between 1950-55 is a subterranean hangar that was kept secret until the 1990s. In 2005 it was converted into an aviation museum, and is a seriously cool place to check out military aircraft. There’s a collection of helicopters and Swedish-made fighter jets and bombers like the Saab 37 Viggen and the Saab 35 Draken. You can climb into the cockpit of many of these aircraft, visit the facility’s control room and get behind the controls of a flight simulator. Moored on the Göta älv in the middle of the city is a mini-armada of 15 heritage vessels. These come in all shapes and sizes and make up a floating museum, plunging you into Sweden’s military and civilian seafaring heritage. The two standout craft you can board are the HSwMS Småland, a Halland-class destroyer launched in 1952, and the HMS Nordkaparen, a submarine in service from 1962 and famously almost involved in a collision with a Soviet submarine in 1980. You’ll get full access to both of these vessels, squeezing through some tiny passages, climbing ladders and steep stairways to see engine rooms, torpedo ports, living quarters and mess halls for a taste of life on board. 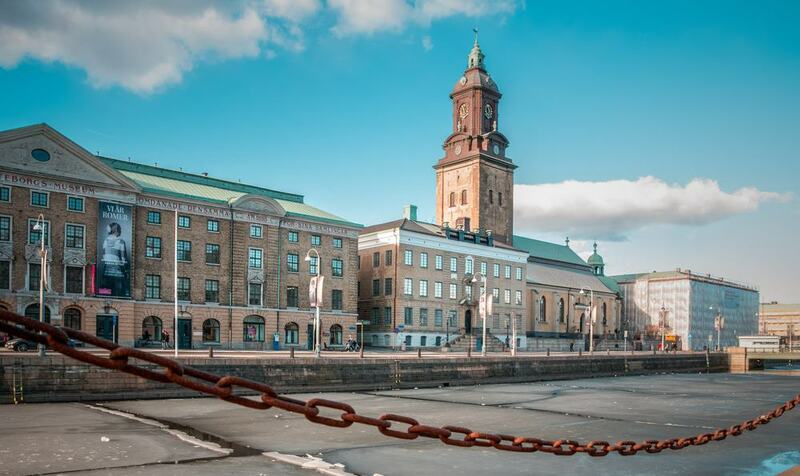 Some way west of the centre, on a quay beyond the mouth of the Göta älv is a museum all about Sweden’s best loved automotive brand, which was founded in Gothenburg in 1927. 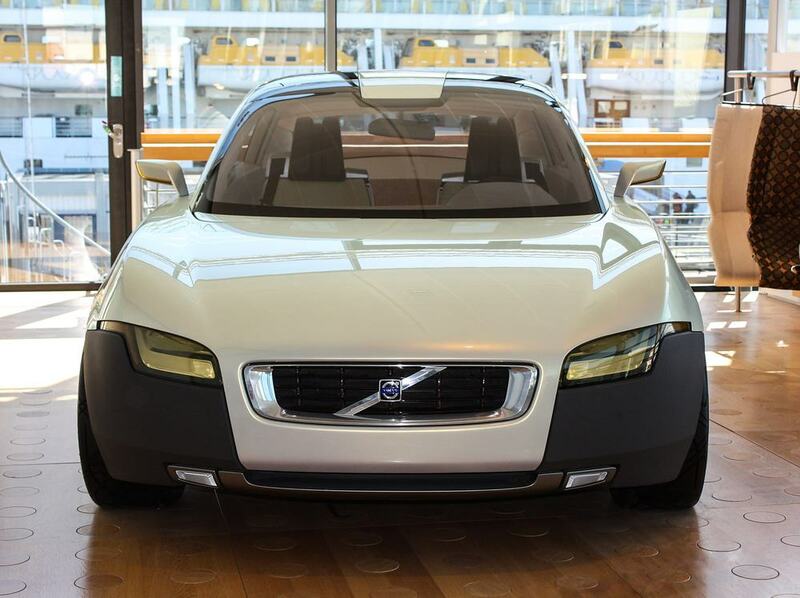 If you’re a Volvo aficionado you’ll find almost every model that the brand has ever produced, checking out dozens of vintage cars and trucks people know and love, but also concept cars never intended for sale. Volvo was never just about cars either, and there’s an absorbing exhibition for the Volvo Ocean Race and equipment developed by Volvo Aero. 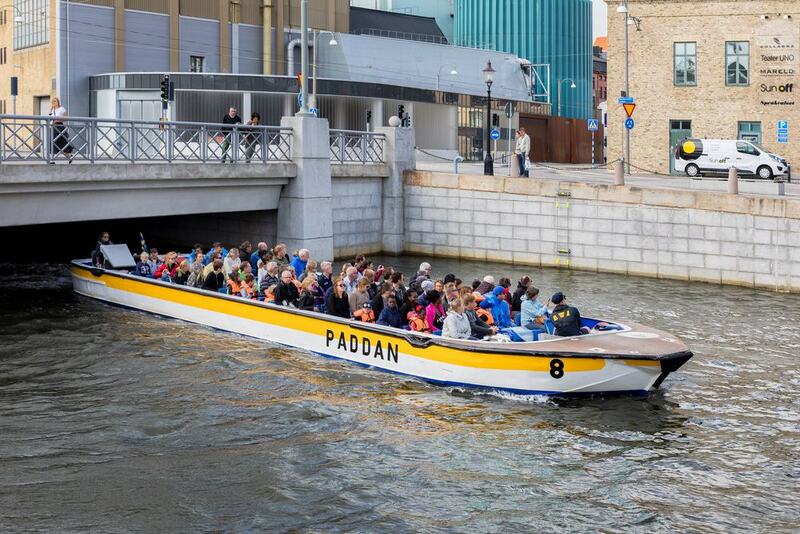 Paddan are flat-hulled, low-profile sightseeing barges that tour Gothenburg’s harbour and canals. The boats depart two or three times an hour are hop-on, hop-off, so you can spend a bit more time at the sights that pique your interest. In a city with a strong maritime spirit it’s a must-do activity, showing you around the 17th-century canals, fishing harbour, old shipyards, and waterfront industry and passing below scores of bridges. You’ll see those vessels at the Maritiman from a new angle and get a view of Gothenburg’s more recent developments like the post-modern Lilla Bommen tower. All the way you’ll be given titbits about Gothenburg’s construction in the 1600s and how the city was defended. At the southern end of Avenyn and below the Gothenburg Museum of Art, Götaplatsen is a distinguished square laid out for the International Exhibition in 1923. 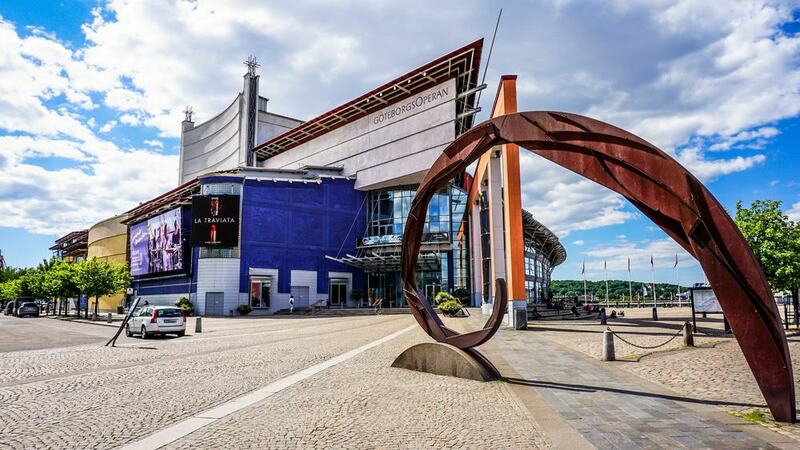 This is a cultural district of its own, because the art museum is accompanied by the City Library, City Theatre and the City Concert Hall, where the Gothenburg Symphony Orchestra is based. Come to take snaps of the Nordic Classicist and to meet the statue of Poseidon standing in the fountain at the end of Avenyn. He was carved by Carl Millies, one of Sweden’s preeminent 20th-century sculptors and is an image that graces many postcards. The city’s museum took up residence in the Swedish East India Company offices in 1861. The building is from the 1700s and its permanent exhibitions document the history of Gothenburg from prehistory to the industrial age. 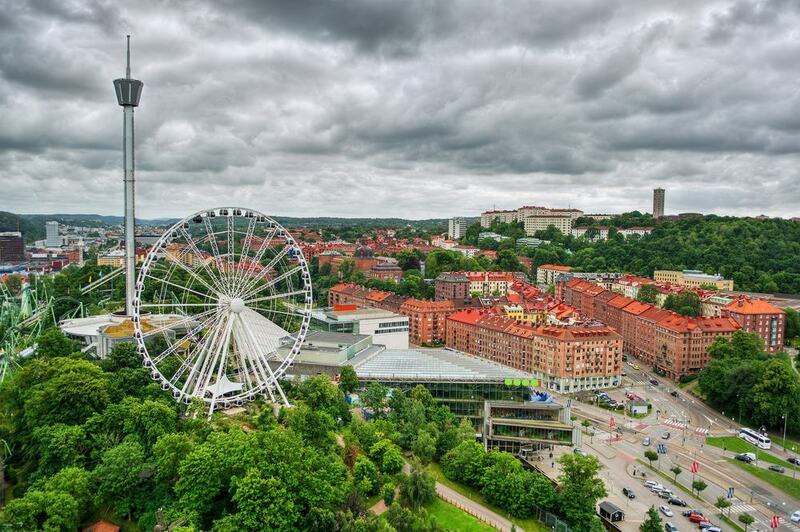 You’ll meet the Vikings that once navigated these waters, and jump to the days of the Swedish Empire and the colossal project that created modern Gothenburg in the stormy 17th century. Moving on, there’s an exhibition about the industrialisation and upheaval of the 19th century, and about life and work in Gothenburg in the early 20th century. All of this is complemented by temporary exhibitions that take a closer look at specific events and themes like the Second World War. This church dates to 1914 and was designed in the Nordic Romantic style by Sigfrid Ericson who also conceived Gothenburg’s Museum of Art. 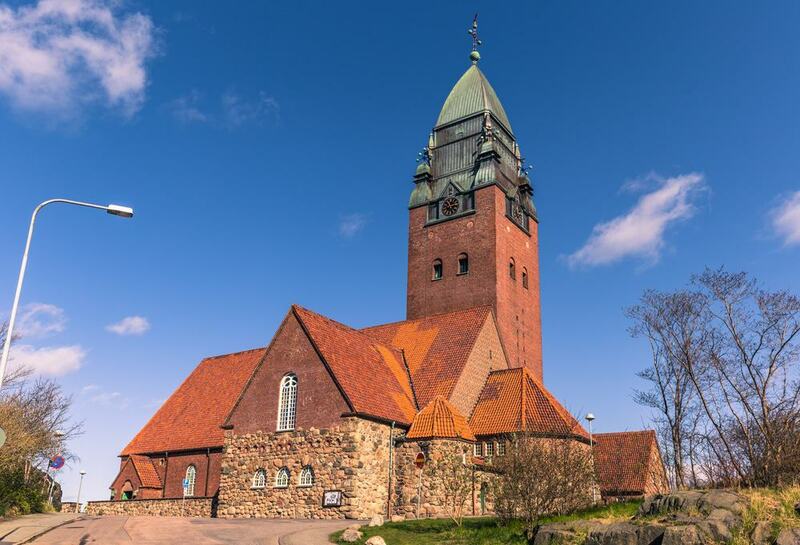 With a tower rising to 60 metres, it’s a striking edifice to behold, but what really gives the church its power is the location at the crest of Masthugg hill beside the Göta älv. As a constant presence on the skyline, the church is a prominent landmark in every sense and has become an emblem for the city. Take a peek at the interior, which can hold more than 1,000 worshippers. Ericson also designed the altar tryptych, which was fashioned by the sculptor Ninnan Santesson, and he drew up plans for the baptismal font, which were finally realised in 1991 using sandstone quarried from the island of Gotland. Atop a hill in Haga is one piece of a system of artillery fortifications that went up in the 17th century, on the back of centuries of fighting with Denmark. And despite the turmoil that preceded its construction, this redoubt never actually took part in battle. The tower can only be viewed from the outside as it is now reserved for functions and sets the scene for summer concerts. But you can come for an ice cream in summer, and get an idea of its five-metre thick walls and inspect the 23 ports for canons that were never fired in anger. Best of all is the view over Haga and Göta älv. This stronghold was set up on an island at the mouth of the Göta älv in the second half of the 17th century. It became Gothenburg’s first line of defence from the sea after its less defendable predecessor was dismantled. There’s a regular boat trip from Lilla Bommen to this island to adventure through the ravelins, passages, bastions, magazine and gun emplacements. Unlike Skansen Kronan, this fortress was called into action briefly in 1719 when it faced an assault from the Danish and Norwegian fleets. The tours are given a historical theme, so you’ll be greeted at the island’s dock by actors in period costume who will regale you with tales from Gothenburg’s fractious 17th century. At the northern entrance to Slottsskogen is Gothenburg’s natural history museum, which goes back to 1833 and moved into its current premises in 1923. 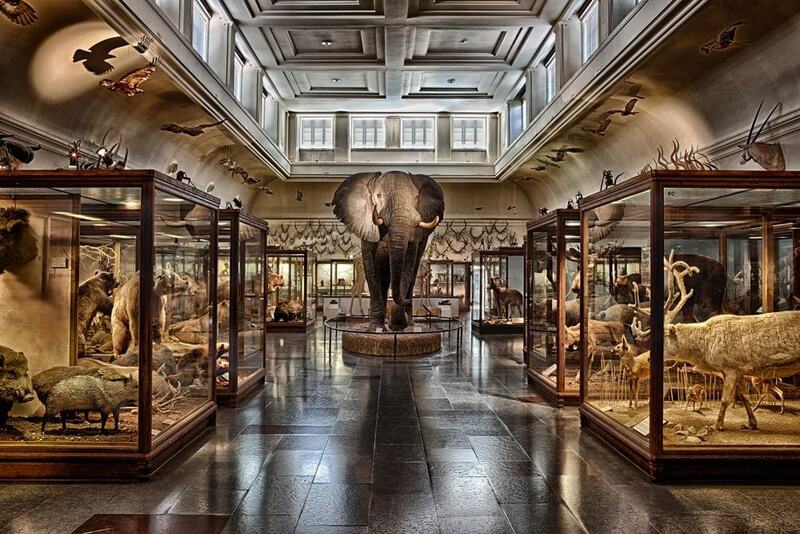 The museum has an old-school feel, so expect a lot of stuffed animals. Two of these are absolutely enormous: There’s a blue whale that washed up close to Gothenburg in 1865 and has the honour of being the only mounted blue whale in the world. Another enormous beast is the African elephant, weighing six tons and measuring six metres in height. For something a bit more edifying there’s the Space Walk (Rymdpromenaden), a scale model of the solar system, with planets dotted across the park to the south, and Pluto located several kilometres away. On the harbour at Lilla Bommen stands Gothenburg’s Post-Modern opera house, which was almost 50 years in the pipeline and finally opened in 1994. The final product divides opinion but nobody could say that the building isn’t bold. Beyond its eye-catching hull-like form, there are a few noteworthy things about the opera house, like an intelligently-devised interior that allows productions to be staged at a lower cost, and a record construction time of just a couple of years. You can see the airy interiors, go behind the scenes and find out about its clever logistics on a tour. Or just come during the season for ballet, musicals and opera of the highest standard. 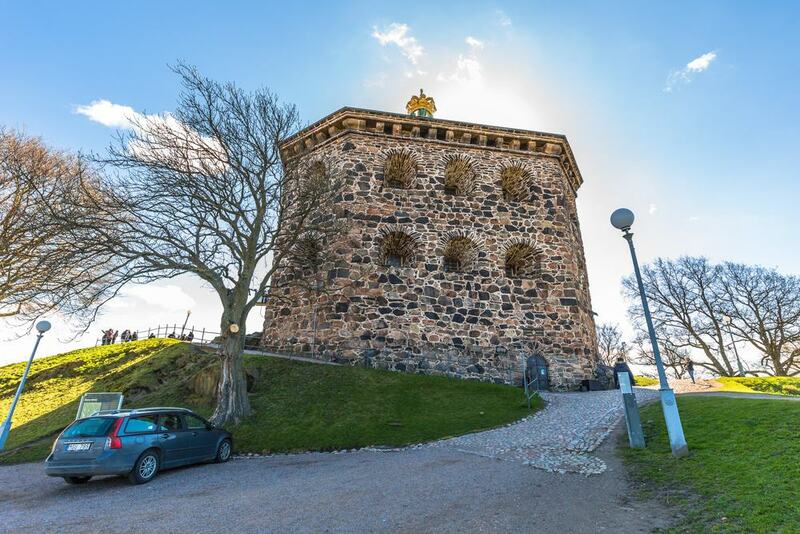 On a clear summer’s day you could battle up to the highest point in the city in Gothenburg’s southern suburbs. 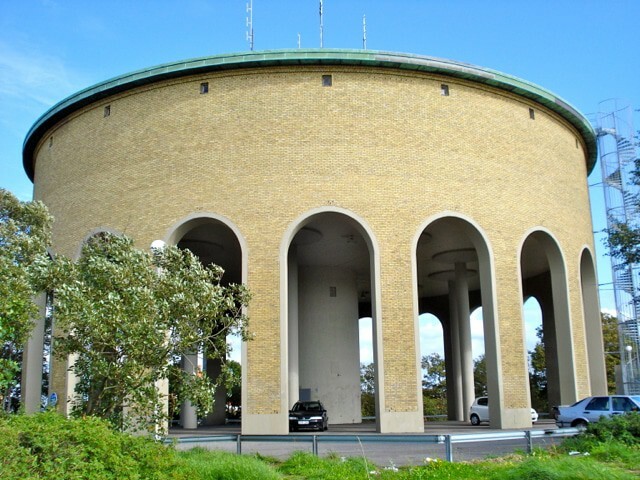 On the hilltop is a water tower that dates to the 1953 and has a cafe installed on its upper level. This is open from 11:00 to 18:00 and at 130 metres offers a satisfying panorama of Gothenburg to go with a coffee, pastry or shrimp sandwich. Up here you can make out the old and new harbours, some of the archipelago and the thick woodland that surrounds the city. Inspecting the vessels on Gothenburg’s quays you may feel the call of the open sea, and a voyage to the small, remote island of Vinga would scratch that itch. 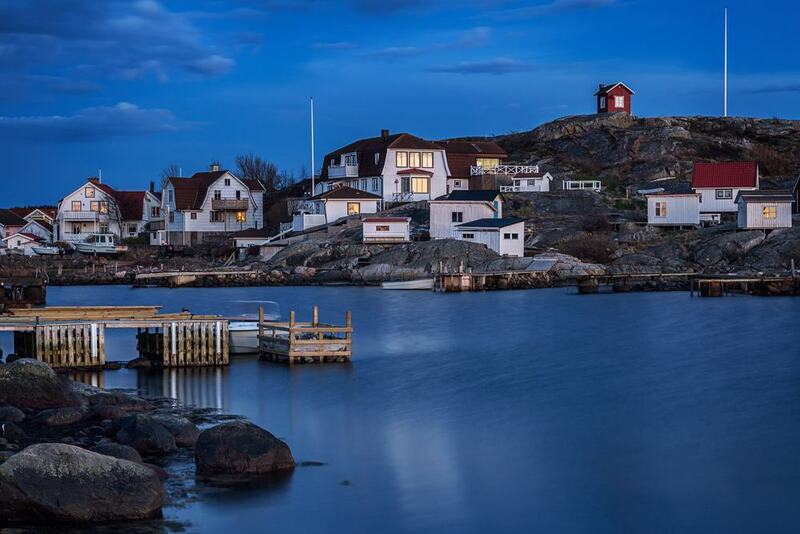 Vinga is ten nautical miles west of the entrance to Gothenburg’s harbour, but don’t let that deter you as the journey there and back is worth it. The M/S Walona makes the trip as comfy as possible, and has a cafe on board. Vinga has been used as a seamark by navigators for hundreds of years, while the current lighthouse is from 1890. 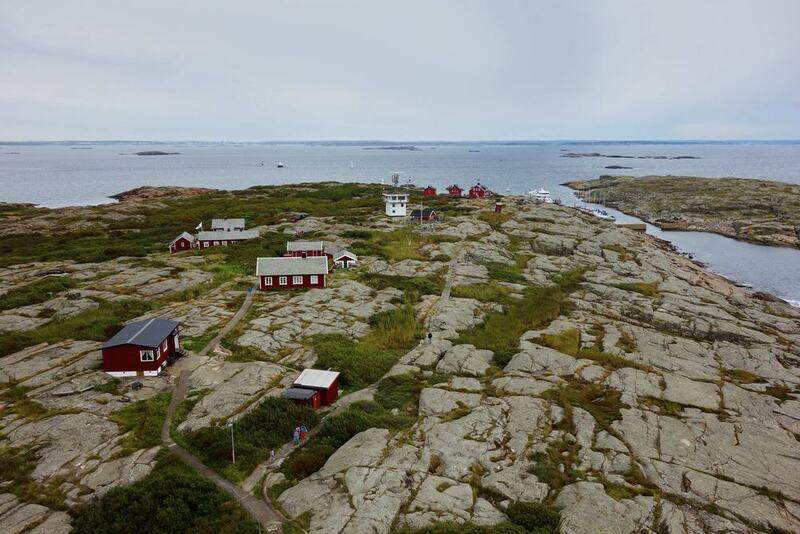 An interesting fact about this place is that the father of the legendary Swedish singer Evert Taube was the lighthouse keeper at this time, and Taube spent his earliest years on Vinga. On warm days pack a picnic and even swimming gear if you’re brave enough! Catch the tram out from the centre of Gothenburg to Töpelsgatan and then walk another few minutes to this pair of lakes (Lilla and Stora Delsjön) enveloped in dense woodland. 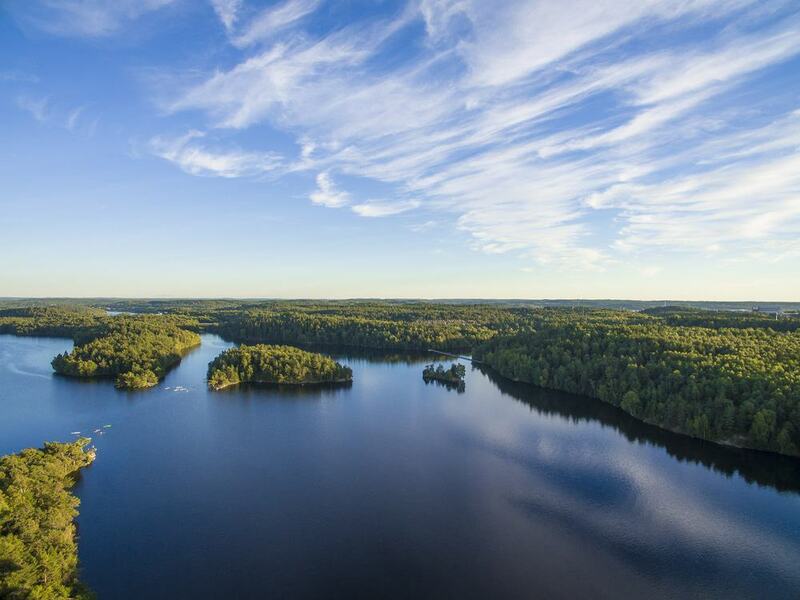 Fed by the Göta älv, Delsjön is a water reservoir for the city and promises peace, unblemished nature and outdoor fun. You could ramble, jog or cycle around its shores in birch and coniferous woodland. And when the weather is right, Stora Delsjön’s large beach is gets a thumbs up from families, while you can also dive off rocks around the shore for a bracing dip. There’s a cafe, a playground for youngsters and a food kiosk, as well as barbecue and picnic areas for timeless summer afternoons. Fish and seafood in Gothenburg are out of this world and the city abounds with outstanding restaurants, but the lobster and crayfish are in a class of their own. 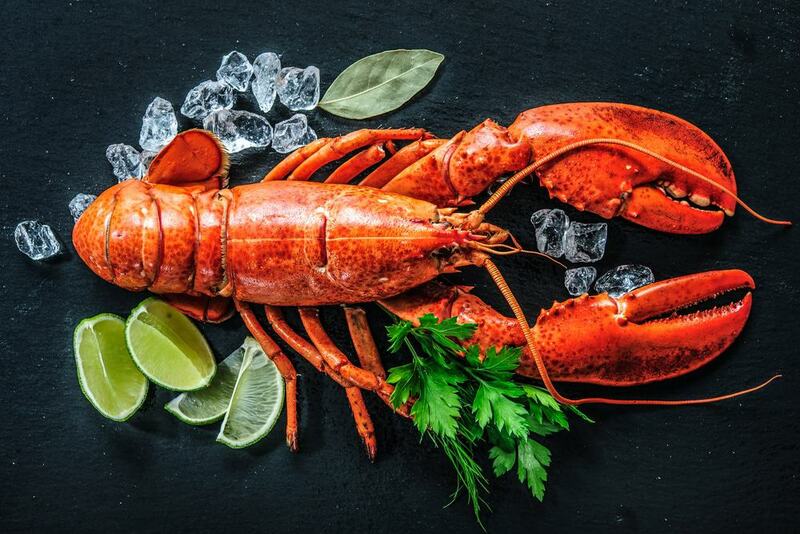 During lobster season from September to April you can head out on a lobster safari, pulling up pots to catch your own lobsters under metallic skies and in a seascape of little granite. It doesn’t get much more Nordic than that! A Swedish tradition of a very different kind is “fika”, which is a coffee break and a chat with a friend or colleague. You can go for fika at any number of upscale cafes around Gothenburg but Brogyllen on Västra Hamngatan is famed for its delectable pastries like cinnamon buns (kanelbullar).